Water is necessary to have life. Warm Hands From Warm Hearts Living Water ministry provides clean, life sustaining bottles of water to the homeless and needy. 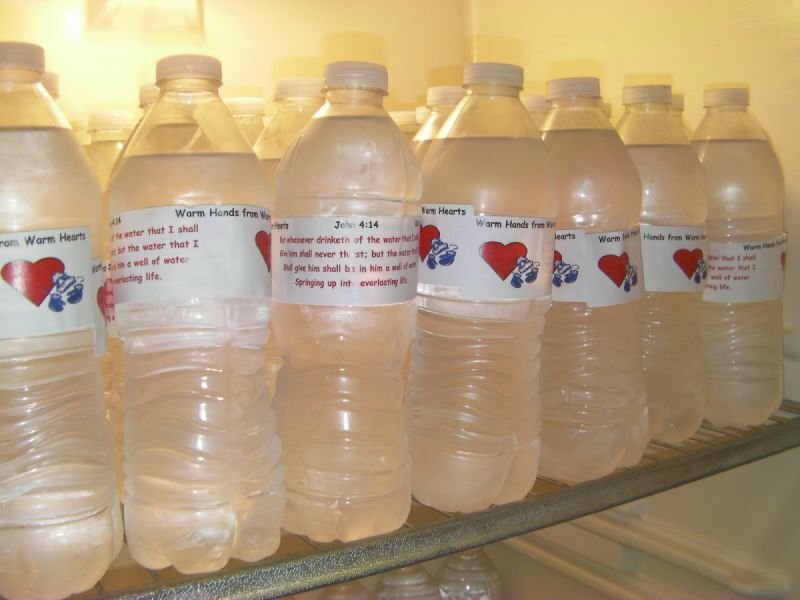 Every bottle of water also includes spirit sustaining scriptures printed on the label, as well as an opportunity to share the gospel message with thirsty souls. Please share the refreshing living water of the gospel by helping this ministry financially or donating water at the Center of Hope at 319 Main Street East in Oak Hill, WV.